The Beneficial Health Insurance Company review is a review of Beneficial Insurance Services. Paul Hertel founded Beneficial Insurance Services in Philadelphia in 1908. 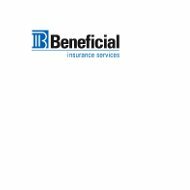 Beneficial Insurance Services began as a brokerage firm and insurance agency that focused mainly on the textile and wood working industries. It offered specially designed fire insurance to the textile and woodworking industries. Compare the health insurance rates of the leading health insurance providers in your area today b by using our free online tool. Enter your zip code in the box above now! Beneficial Insurance Services became a fully owned subsidiary of the Beneficial Bank in 2005. In 2007, CLA Insurance joined the Beneficial family and increased the number of insurance products offered by Beneficial Insurance Services. When it comes to risk management, the Beneficial Insurance team will work with the accountants and attorneys of a company to insure that the company is receiving the best risk management service available. The Beneficial Insurance risk management process helps to finds any risks the company has and then sets up a program that will determine whether it is best to keep, insure, or eliminate those risks. When a company first comes to the Beneficial Insurance team to address their company’s risks, Beneficial Insurance starts by assessing the company’s present risks and current coverage. If there are gaps in the company’s current coverage, Beneficial Insurance points out these gaps and it is up to the company whether to fill in these coverage gaps. The Beneficial Insurance team takes great pride in their approach to risk management and their ability to help other businesses. Health insurance can be confusing at times. The most typical types of health insurance coverage are individual medical coverage, Medicare supplement insurance, and hospital income coverage. Many different health insurance plans fall under the category of individual health insurance. These plans can include high deductible health plans, low deductible plans, short-term medical coverage, long-term medical coverage, and even a fixed indemnity health insurance plan that has a limited benefit. Hospital income coverage is also known a supplemental medical coverage. Supplemental medical coverage is typically purchased as a way to guard against expenses that might not be covered by the primary health insurance coverage. Some of the things that supplemental medical coverage will pay for include accidental injury, hospitalization, extended care, deductibles, private rooms, private nurse fees, extra transportation, unexpected childcare, outpatient surgery, and intensive care. There are many types of Medicare supplement insurance. Three common supplemental plans are for plan A, plan C, and plan F. These plans cover things like hospital deductibles, blood, coinsurance, and even emergency care in foreign countries. To find the best health insurance rates where you live, use our free online today. Enter your zip code now!